It’s indeed appropriate to suggest that media mogul Biola Alabi has the confidence of a woman who hustles hard. As an erstwhile managing director of M-Net Africa, one of the continent’s biggest broadcasting companies, svelte Alabi helped transformed the broadcasting and film industry in Africa with a focus on locally produced content. She launched seven Africa Magic channels, including some in indigenous languages and even came up with the Africa Magic Viewers’ Choice Awards, regarded as “African Oscars”. She oversaw four editions of the popular reality series Big Brother Africa, and created the Face of Africa finale in Lagos in 2010. 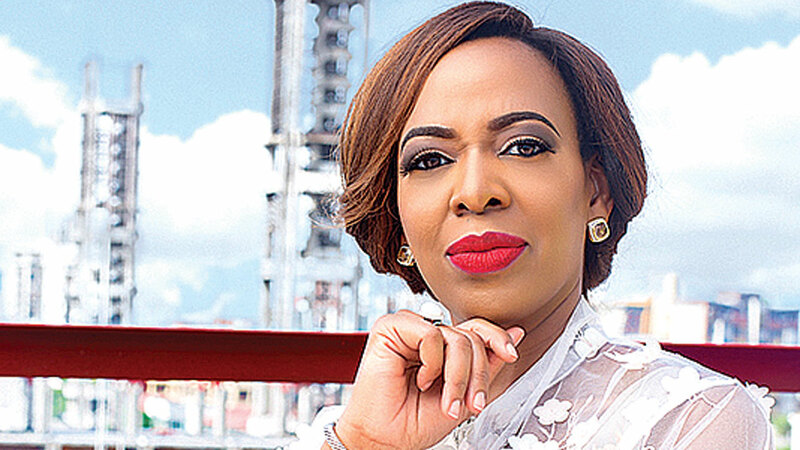 As the face of a media renaissance in Nigeria, when she left M-Net in 2015, she started Biola Alabi Media consultancy to connect storytellers with funding and distribution. Her first project was Bukas and Joints which is now Africa’s No. 1 food and travel show, broadcast both on African and U.S. channels. And she delved into movie production with two blockbusters (Banana Island Ghost and Lara and The Beat) on her pouch. The 45-year-old mogul, whose global perspective was honed during her childhood split between Cincinnati and Lagos, is keen at using media to bring people together to solve some of the biggest problems facing the continent. And a lot of it has to do with education and information. Her recent work, Lara and The Beat, which she co-produced, had female protagonists. It is about two sisters who get caught up in a financial scandal and have to rebuild their lives from scratch. She is now planning to turn the movie into a series, starting with when the sisters are nine years old. Alabi plans to complement the series with published books to circulate among parents. The first in her young adult educational book series, The Adventures of Lara and Dara: Lost and Found in Lagos, will drop in December and the TV series will follow. The series, it is gathered, will focus on various conversations around women issues, health issues like monthly periods, things girls are expected to learn on their own and everything that is not talked about in the Nigerian society. All these will form part of Alabi’s push to create positive African female role models who are diverse and nuanced. Alabi’s effort has drawn to her global attention. She was named one of the 20 Youngest Power Women in Africa by Forbes in 2012, and this year the Financial Times named her to its 100 Female Executives list.